As we say goodbye to 2017, I'd like you to think back to five years ago - specifically, Google five years ago. At that time, if I had told you Google was one of the world's most important consumer electronics manufacturers, you'd probably have laughed at me. Mentally put yourself in 2012: Google's just announced the fourth Nexus phone, the Nexus 4, running Android 4.2 Jelly Bean, along with the Nexus 10 tablet. At Google I/O six months prior, it unveiled the Nexus Q - a device intended to be some sort of smart entertainment hub... and proceeded to cancel its public launch. The $300 Q never lived up to its potential, and given that [email protected] had foundered just a year before that, Google's smart home ambitions, it seemed, were dead in the water. Similarly, its efforts to get into the smart TV box game had fizzled, and the consensus at this point was clear: Google was probably best off just sticking to phones and tablets meant for developers and enthusiasts that didn't sell very well. But, Google didn't just stick to phones and tablets. And that perseverance - despite repeated failures - has paid some serious dividends. When Google announced the Chromecast in mid-2013, even our initial take was optimistic: this thing was good. A $35 dongle that could replace a smart TV and cast browser tabs from your laptop using the power of Chrome OS and Android was exactly the sort of slightly hacky but pain point-resolving product that millions of consumers needed in their living rooms. And, since taking that first step, Google has just made the little dongle more and more powerful. The standard Chromecast has undergone just one revision since being launched in 2013, along with the announcement of an Ultra HD variant last year. But between Chromecasts and other Cast-enabled devices like smart TVs and Google Home, Google says 55 million pieces of casting hardware have been sold to date. That's a pretty big number. 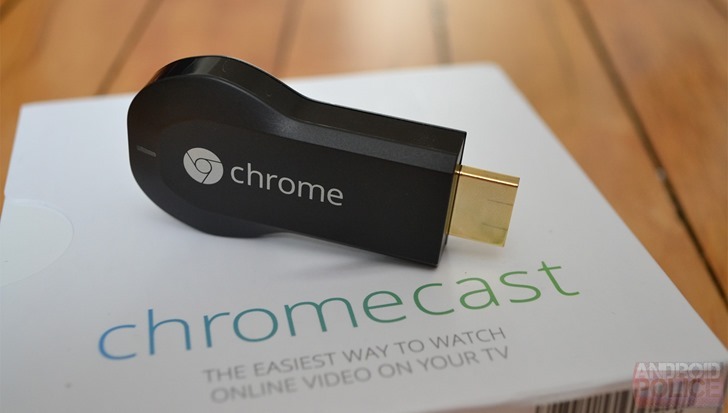 It's unlikely Google anticipated the Chromecast would be as popular as it is. 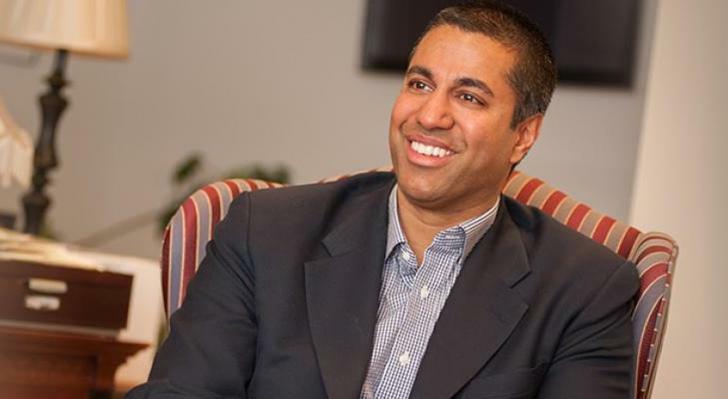 But its insanely low price point and high level of interoperability - it works with Android, iOS, and anything with the Chrome browser - make it seem like an obvious slam dunk in hindsight. With this little dongle, Google wormed its way into millions of living rooms and bedrooms, paving the way for its larger smart home ambitions. Casting content to a TV was just the start, but one that proved to be prophetic. 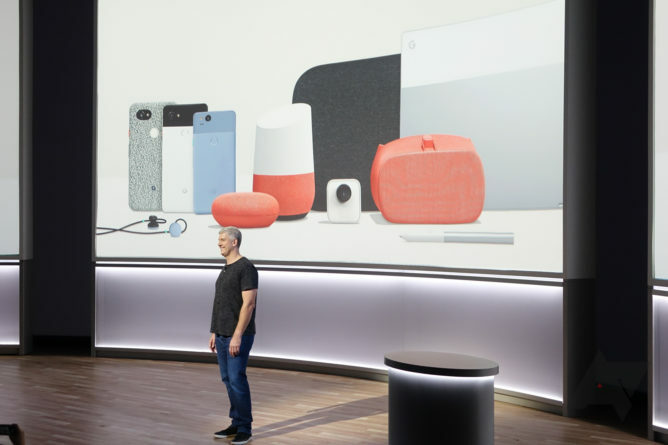 When Google announced the Home last year alongside the first Pixel smartphones, many declared that the company was playing catch-up with Amazon's line of Echo speakers. The Echo had been in a soft launch since mid-2014 and launched to general consumers about a year after that, putting Google over two years behind Amazon and Alexa's growing set of skills. Google, though, launched the Home with two distinct advantages: it worked just like a Chromecast for audio content (a product consumers are already intimately familiar with) and Google's Assistant, which is significantly more capable and, perhaps most importantly, has more access to your personal data than Alexa likely ever will. It didn't take long for Google to realize that having a Cast-enabled home speaker and a device called a Chromecast, both of which could be casted to in the Chromecast app, might be a bit confusing. That's why it renamed the Chromecast app to Google Home last year, signaling that the Home line of products would be taking over for the larger Cast brand. It's still not exactly clear what's going on with the Cast branding, but there's clearly a desire to get consumers to associate Google Home with casting content, even as the Chromecast itself remains the most identifiable Cast-enabled device on the market. What Google Home did, though, was initiate a de facto convergence of Chromecast and Home devices. All are managed from the same app, can be grouped together for audio playback, and assigned locations. The Google Home app is also the hub for any smart home devices linked to your Google account that can be controlled via Assistant endpoints, and the list of supported products just keeps growing and growing. While Alexa is still the reigning smart home control champion, Google has been consistently closing the gap. And Google has a major advantage Amazon can't lay claim to: its Assistant is embedded on hundreds of millions of Android smartphones as the default search and voice provider. I control my smart outlet from my phone about as often as I do from my Google Home, and with the Assistant just a long-press of my home button away, I have no desire to rummage around for the Alexa app. 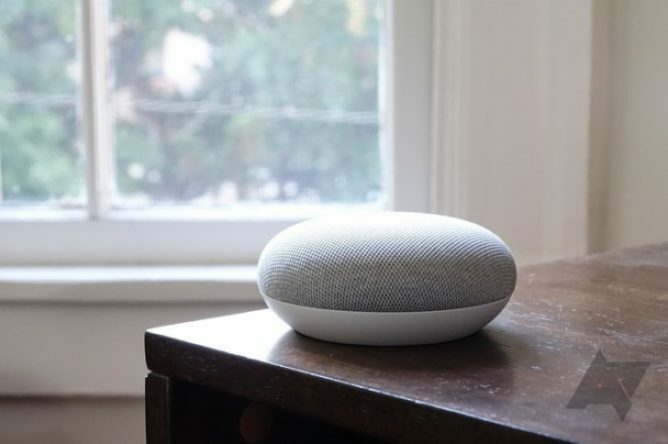 In my view, the Google Home Mini solves the single greatest problem with Google Home: making it cheap enough to put in most rooms of your house. Given they were on sale regularly for $29 during the holidays, I imagine Google moved quite a few of these little speakers, and that those 55 million Cast-enabled devices will be reaching 100 million not too long from now. Google's whole goal, after all, is to get the Assistant onto as many surfaces as possible. A value-focused smart speaker is as obvious as a $35 smart TV dongle if you want to get your product into someone's living room, as the Amazon Echo Dot has convincingly proved. To go forward in our story, we have to step back for a moment. In 2014, Google acquired Nest, a company known for its smart home thermostat, for $3.2 billion. At the time, it wasn't exactly clear what Google would do with Nest, and to some degree it still isn't. But if you want to see where Google is taking the smart home company, look no further than a single feature announced during a press conference earlier this year: Google Assistant integration in a smart camera. 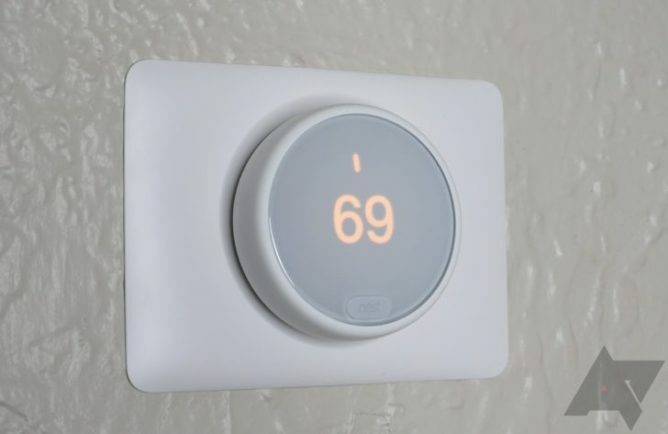 Nest is currently the most well-known name in smart home monitoring solutions, and the company's thermostats are wildly popular. Its new security system is too expensive and rather frustratingly lacks Assistant integration, but I wouldn't be surprised if that changes down the road with software updates. In any case, you can rest assured that future Nest products will integrate with Google Assistant, and the Google Home app, in more and more ways. It's even rumored that Google wants to combine the Nest and Google hardware teams into a single unit, which would undoubtedly streamline that process. With Nest getting into home security and doorbells, along with its traditional thermostat and camera businesses (its outdoor cam is the top seller on Amazon), the Google Assitant will be able to learn more about and respond more intelligently than ever to you. Parents, can you imagine saying "OK, Google - where's [insert child's name here]?" and the Assistant displays a live video feed from where they are in the house, or a dot on the Google Maps app? Sure, it's creepy - don't get me wrong. But there's no doubt that this kind of thing was borderline Star Trek-level technology even ten years ago, and we're basically able to accomplish it today. That's pretty insane. Google has made it clear that the Assistant will work first and best on its own hardware. 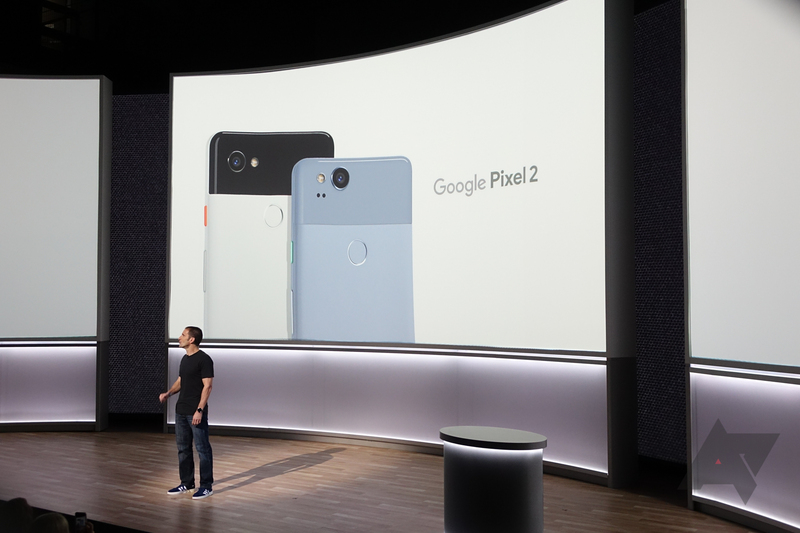 Its Pixel phones were the first to get Assistant last year, the first to get its new Lens feature this year, and the Pixelbook is the first laptop to work with Google Assistant. Google clearly expects that the Assistant is what will move products, and with the platform getting more and more capable all the time, I'm starting to think that expectation is valid. By building the best endpoints for the best assistant platform, Google has entered into the hardware game from the back door, and with a surprising degree of success. It may not be selling anywhere near the number of Pixels as Samsung does Galaxy S8s, but when someone with a few Google Homes, a couple of Chromecasts, Google WiFi (which is surprisingly popular), and a Google Nest (come on, that rebrand has to be coming) camera is in the market for their next smartphone, you can probably bet they're going to look long and hard at the same company that makes so many other products they own. 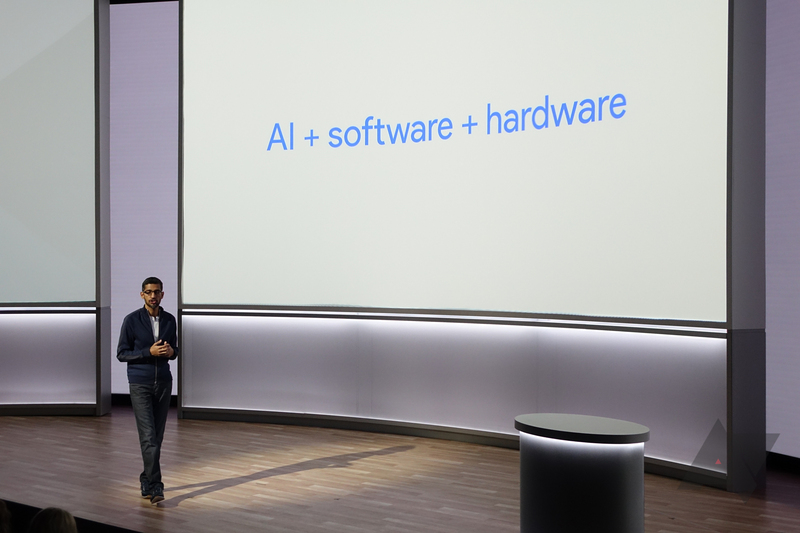 Google's larger consumer product vision is still coming into focus, and in some areas, it's just not quite there yet (sorry, Pixelbook - I still love you and your amazing keyboard). But for all the heehawing about Google's inability to create a coherent ecosystem in Android over the years, we're now watching it rather elegantly pull together one of hardware on its own terms. That's pretty exciting. This is the company behind what is probably the most powerful artificial intelligence on the planet, one that we all very frequently interact with, and I have never been more curious about what's next from Google.